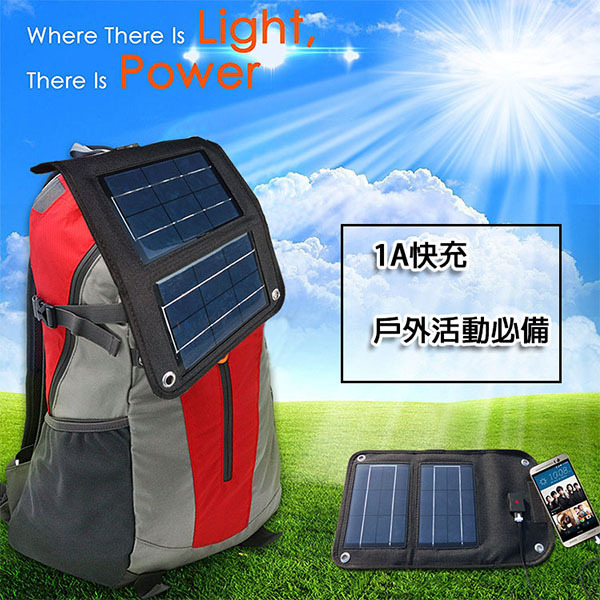 High quality solar charger, perfect emergency equipment, great for camping trips or treks trips, 5W high efficiency solar panel foldable solar charger, under strong direct sunlight 1A output fast charging any cell phones,tablet,electronics. 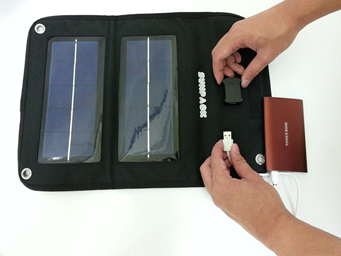 With this AMAZEN-5P you can charge your electronics products with unlimited solar light! No matter where you are, you only need to open it to charge. 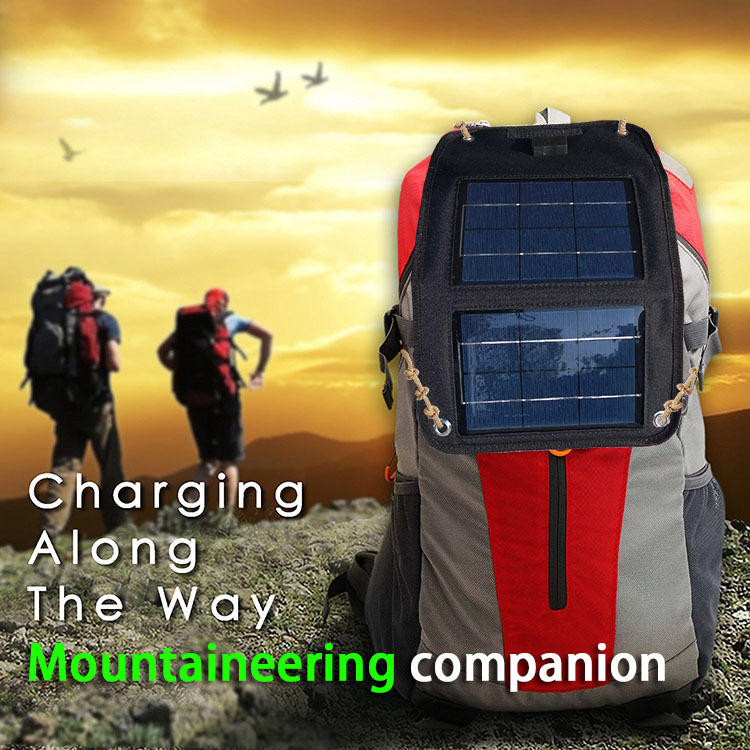 When you are finished charging, you just close it, easy to operate! This AMAZEN-5P is solid and light, easy to use! 1. 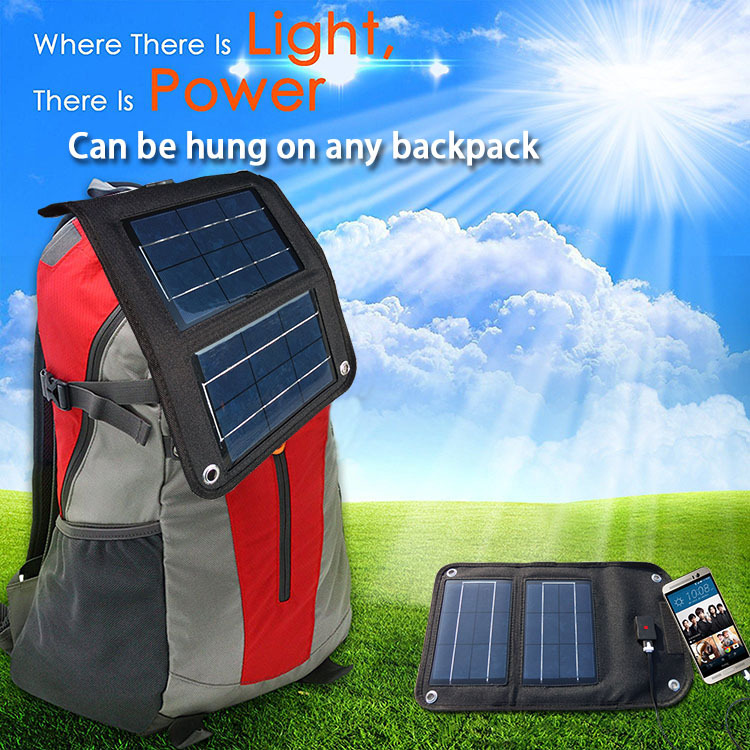 Use free and unlimited sunlight to charge, let you go wherever you want to go. 2. As long as it is used in the sun, you just open it. 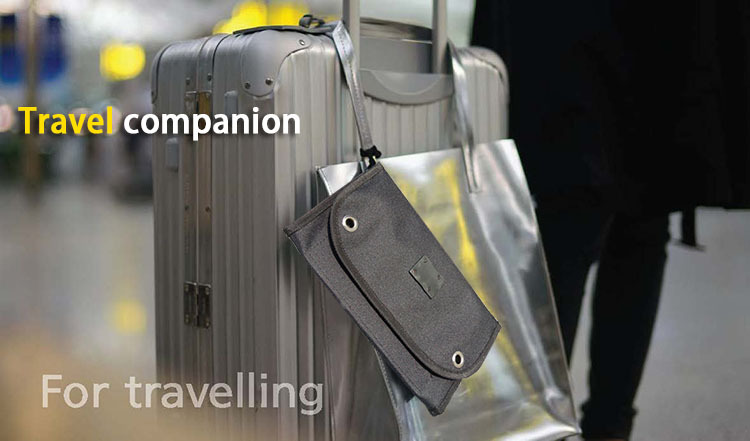 Lightweight, sturdy and portable, it is super convenient to use! 3. 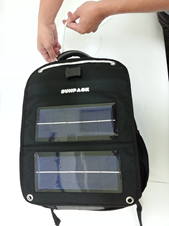 The product is made of high efficiency solar panel durable up to 20 years. 5. Portable folding, very durable & sturdy! Suitable for outdoor activities! 7. You can use the string to fix it on the backpack. 9.In the patent application, counterfeiting will be investigated!! 1.Open the product in direct sunlight, and the red indicator lights up to indicate that it is charging. 2. Plug your cell phones to USB and it is charging. 3. It can also be used with a string to fix it at backpack. 5. Easy to store and use. 1. For the first time using this product, first remove the PE protective film on the surface of the solar panel to increase the efficiency. 2. Please use the product under outdoor direct sunlight and make sure that there is no shade. 3. It is not recommended to use under the window & glass. 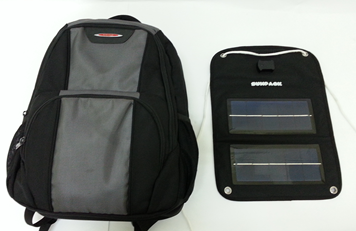 This will block & filter the sunlight and reduce the charging efficiency. 4. Please clean the solar panels regularly to prevent dust accumulation and reduce the charging efficiency. When cleaning, please use a soft towel to gently wipe. Do not use any chemical cleaner. 5. 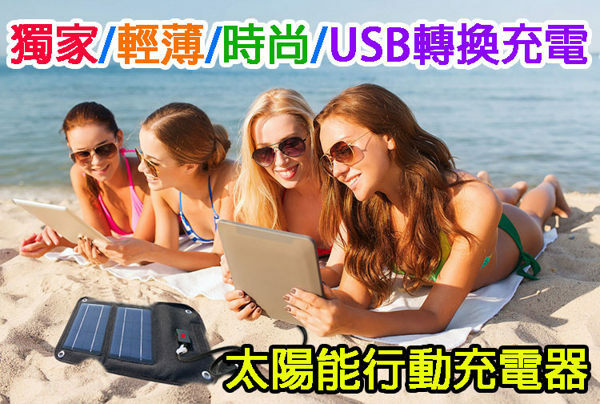 The charging speed of this product varies according to the different brand and the model of mobile phone , charging cable, outdoor environment, sunlight intensity and other factors. 1. This product must be kept away from any fire source and water to avoid damage. 2. Do not vigorously tap, press, or thorn the solar panels to avoid causing solar damage to reduce charging efficiency. When you are out in the field and you have no access to a power source of any kind this thing is a life saver! I got this for my homeless friend that lives out in the woods in a tent. It works well for charging his phone and e-Cigarette vape. We love how it's small and folds up so it can be easily placed in his backpack while not in use. Now he never has to try and find someone willing to let him plug his phone charger in anymore. Thanks sun! I charge my cell phone using sunlight alone. I can do this while using my ATV or sidecar motorcycle, very convenient. These are particularly useful for those who forget to charge their phone at home or work. Set the panel on the dash & plug in to give your phone battery a few watts. I put it in direct sunlight, connecting my phone, it charged 100% in less then an hour. With intermittent sunshine the charger will not do anything. The solar tool may have been making my phone drain power needlessly. I had no power due to Hurricane Irma, this solar charger worked great. I would put my phone on the charger while I cleaned debri and it did not take long for it to be charged. Purchased this to recharge our cellular phones while camping. Worked extremely well in that capacity. Great unit for your emergency preparedness kit. Charges cell phones, ipads, kindles, and tablets. Also nice to have when just camping. I liked it so much I bought two. I bought this for my husband to use while traveling for work training where they have no outlets. Works wonderful. The only thing is it takes 4 hours to fully charge but it is a smaller panel so that is understandable. All in all an awesome buy. This is a neatly designed and well packaged and constructed device - fairly priced, but the Super Coupon makes this a must buy for backup portable power!! Always enjoy the pleasant and helpful staff at each store, and with the wide selection of tools and reasonable pricing, I feel like a kid in a candy store! 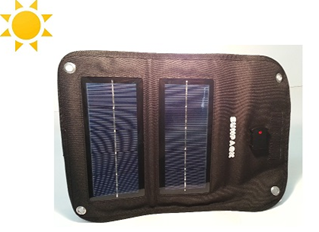 This is a great little solar panel. I carry it with me when backpacking for my phone. -Its relatively small and light. -It has semi-flexible panels. -There are eyelets for attaching it to stuff like a backpark. -Charges my iphone just fine during my hikes. People who claim this "makes the power in their devices go down" or "drains power" Are clueless,,, Shut the device off when charging! 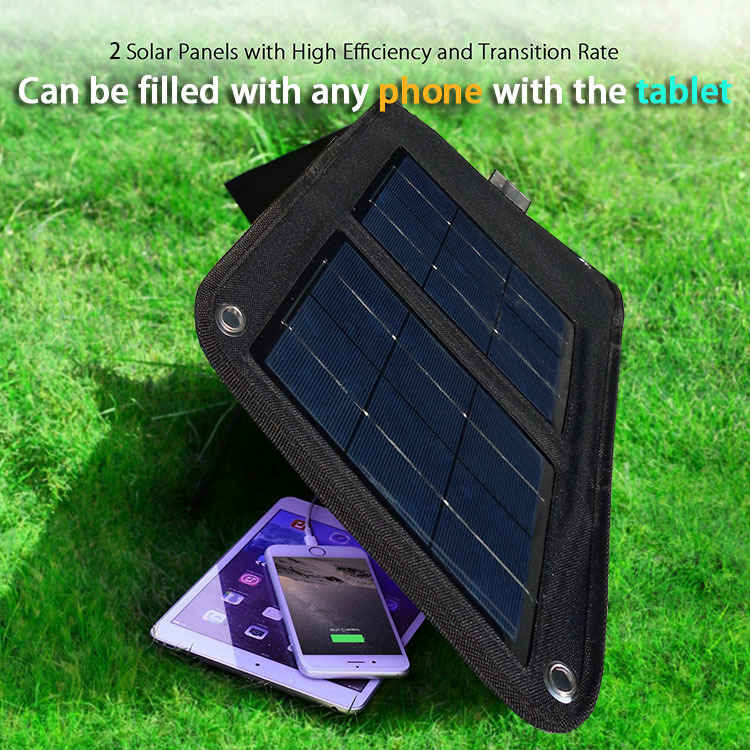 Use in full sunlight and you wont have issues Some devices are charge voltage sensitive, so you should charge a separate battery pack and use that to charge your device. And the term flexible refers to use not the panels, its about the use of the charger, for a 5 watt 5 volt panel set up this price is dirt cheap! I have tested this on my iPhone 5S and iPhone 5C and YES it charges them both. But you MUST have FULL SUN, no shade on the photocells or the voltage will drop and you will get the "This accessory may not be supported" message on your phone. If you get this, move the photocells back into FULL sun, unplug your cable and try again! We had two power outages in two weeks and this kept my iPhones charged! It works! 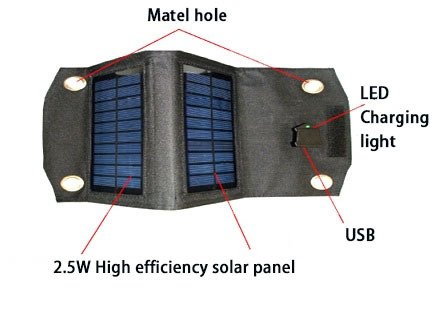 This is a great little solar panel. I purchased this a few weeks ago and took it out boating. I soon realized that with my iPhone, I would get the "Accessory not supported" error when I would loose direct sunlight. The drop in voltage caused this issue but with a quick unplug/replug it would work just fine. As some of the other comments have pointed out, a cheap USB battery pack is ideal to use with this setup because you can leave it under the panel and still use your phone. If you need power, plug your phone into the battery pack for constant power. 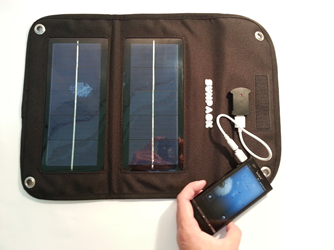 Very cool, durable & portable solar panel. I have used it to charge my Android phone with good results. Recently however a buddy recomended charging my battery booster pack and using that to charge the phone to avoid any voltage irregularities that might be a problem to the phone. I also have a small USB powered portable fan that it will power directly. Not a huge amount of air flow but pretty neat to use. I use this to recharge my smartphone and external battery charger. When the power is out - this keeps my phone, battery and otherUSB compatible devices charged. Love the price.....they only had one at my HF .....definitely purchasing another soon. Took this little guy out on the kayak and it worked great(iPhone 4)! Just as if I plugged it into an AC outlet. You won't find a cheaper(price) anywhere else for a product like this. Nice job HF! I think I will pick up one more for my wife. Wish they offered an extended warranty for this though.